Culturally diverse, Gabriel is a Brazilian native. In the northeastern city of Recife, he started his musical journey at the age of eight. In 2007, Gabriel moved to the U.S. after attending the Federal University of Pernambuco for his Bachelor's degree in Piano Performance and Music Education. In the U.S., Gabriel attended Iowa Central Community College, transferred and completed his B.A. in Piano Performance at Briar Cliff University, and acquired his Master of Music degree from Northern Illinois University with an emphasis in Jazz Studies. For two years, he traveled to over 30 countries as the piano chair for the Celebrity Cruises Orchestra. For the past 11 years, he has played piano and led music in several churches in Brazil, Iowa, and Illinois. 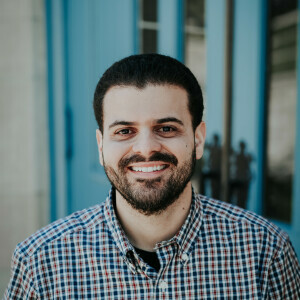 By wanting to continue to use his talent to worship God, Gabriel is happy to have assumed his position at FPC and to reconnect with our church members. For more information about worship and music click here!